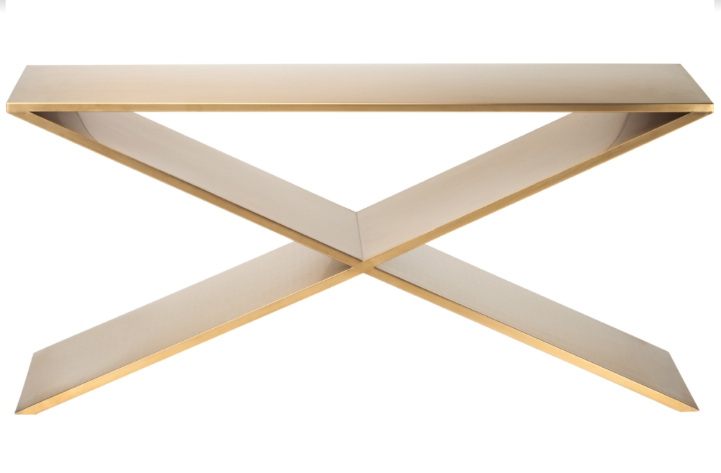 Prague Console Table in gold is elegant and unique, and it sets a new standard for modern design. 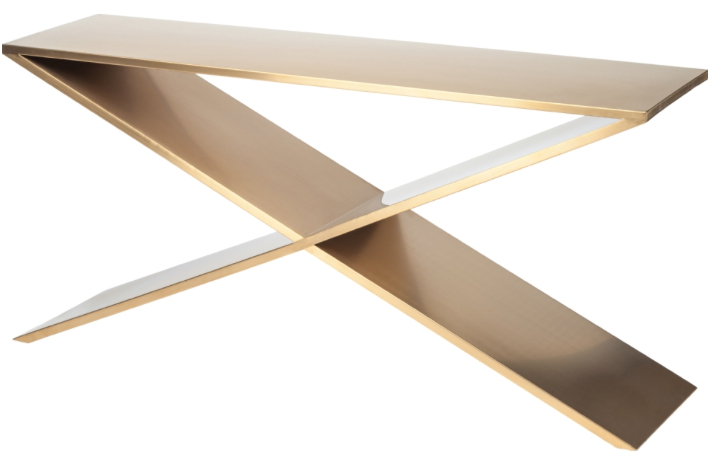 This console table is made from brushed gold stainless steel. The beautiful part of Prague Console Table is that there are no screws or visible connectors. 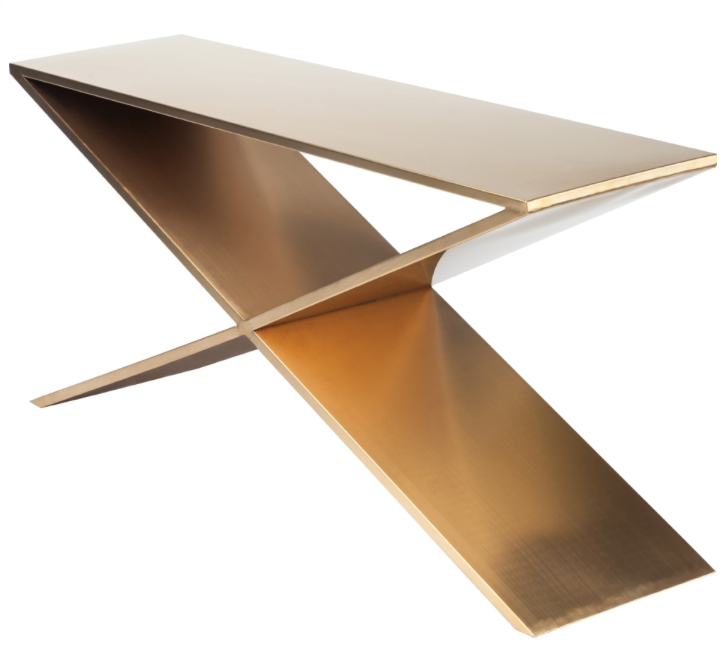 An x-shaped base not only adds to the aesthetic appeal of the gold Prague table but ensures optimal stability. Sleek gold stainless steel introduces an understated elegance to complement any decor.